Anyone researching their genealogy on the internet trying to learn if they have Cherokee ancestry has undoubtedly come across "wannabe hunters". These are not necessarily genealogists who try to help people learn the truth, no matter what it might be, but instead, those who just dispute people for no other reason than to harass people. They will declare someone a wannabe or fake without looking at their genealogy. And I don't mean they just go after people running around playing Indians in fake tribes, but instead just about anyone who happens to cross them. Now don't misunderstand what I am saying. I do hold a very strong stance against wannabes, but I also explain the difference between a wannabe and someone who is just trying to learn their ancestry in my blog. Looking for Cherokee ancestry does not make one a wannabe. 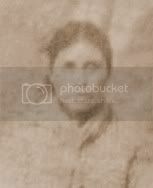 Though claiming without proof often gets people called a wannabe by Indians, many times people only say they are Cherokee because they don't understand the difference between being Cherokee, a tribal citizen, and being a Cherokee descendant, one who descends from a Cherokee without being a recognized member of the tribe. Once people understand the terminology, usually they don't have a problem with it. Wannabes are something totally different, in my humble opinion, than these people. For my thoughts on them, you can read here. Anyway, back to these "wannabe hunters". These people often feel they are so much "better" than other people, they think they can decide who is or is not "Indian", truth be damned. They get very vocal and often talk about violence against people they decide are not Indian. I actually read a recent exchange between two of these "wannabe hunters" where they laughed about counting their coins to make sure one would have the money to make sure she could get the other one out of jail when they went on one of their "hunting trips". Sorry, but that isn't funny and it doesn't make what they do valuable if they don't have proof when they start calling someone a fake, a fraud or a wannabe. Does this person, Keely Denning, know I am Cherokee and registered? Yes. But her post was not meant to inform people of the truth, but instead, try to hurt me. She proclaims she is a "wannabe hunter" who exposes frauds, but is she really? I am registered with the Cherokee Nation, a federally recognized tribe, yet she calls me a fraud. Once again, this was not done to "expose a fraud" but instead, to try to hurt me or damage my reputation. So, in response to her post, I scanned my tribal registration card and posted it on the About Me page of this blog. You think that would be the end of it, right? Wrong. Out of the blue, a new "identity" with no friends showed up on facebook and posted in the discussions section of the Native American Indians - Old Photos page. This identity, Tsali Cherokee, wrote a long post declaring themselves an audio visual expert who was asked to evaluate the card for it's authenticity. This "person" who would not post under their real name, declared me and my card fakes and said I was committing fraud. Do you understand what this means? They were accusing me of committing a felony when they said I was using a fake Indian card! Isn't it odd this "new identity" suddenly popped up to declare me a fake right after Keely herself had done the same thing in another place on facebook? And isn't it funny that after her claim that I was a fake and I offered my card as proof, "someone" had to appear to say my card was a fake as well in order to back up her claim that I was a fraud? Let me remind you, I am a real Cherokee. My ancestry is not at question. My tribal registration is not at question. I, without a doubt, am Cherokee. Yet, I became the target of a "wannabe hunter". Was it because I am someone going around making up fake tribes? No. Was it because I am falsely going all over the place telling people I am Cherokee when I am not? No. It was simply because this "wannabe hunter" got mad over a comment I made and she decided to use the fraud accusation against me. And, guess what this means. We can never, from this day forward, believe any claim this "wannabe hunter" makes against any person she calls a fake. She has lost ALL credibility. She has shown she will call anyone, including a real Indian, a fake. I would urge all my readers to disregard people that claim to be "wannabe hunters" who don't use and share documents to back up the things they say. I believe in truth. Nothing more, nothing less. If you have Cherokee ancestry, I will tell you. If you are eligible for registration, I will help you. If you are not, I will refer to you as a Cherokee descendant and help you learn more about your ancestors. And if you are not Cherokee, I will tell you that as well and try to help you learn more about your real ancestors, whoever they are. What I won't do is tell you that you are or are not Cherokee without first looking at your ancestry. I might say your family story does not fit with Cherokee history. 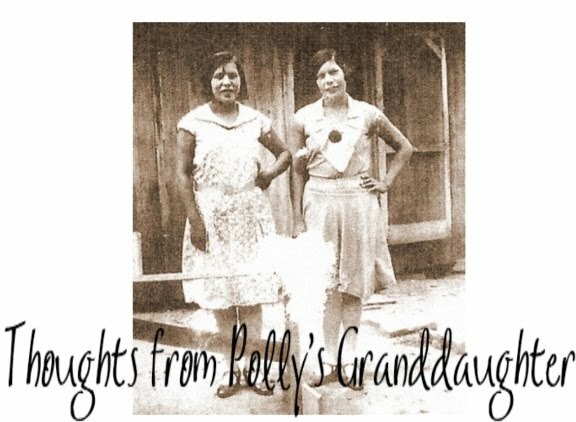 I might say the picture of your great grandma doesn't look like a full blood, but I won't say you are or are not a Cherokee until I research to know for myself. So, if you are being harassed, stalked, or challenged about your ancestry by the "wannabe hunter" mentioned here, there is no reason why you should have to put up with her belittling you or harassing you. My own personal opinion is you should simply respond to her with, "You have accused a real Cherokee of being a fake in the past, so what is to say you aren't doing the same thing to me?" Way to stand up for yourself Twila! I've been following the postings made by the person mentioned above and it seems like they have absolutely NO interest in telling the truth about what's happened between the two of you. What she does seem interested in, is stalking you on all of the Cherokee pages you visit, and make irrational, dishonost posts about you and your family. You absolutely ARE NOT lying about who your ancestors are. Our families lives in the same Cherokee community, though yours were Cherokee Indian, and mine were once Freedmen. I'm disgusted at the behavior of someone who claims to value her Native heritage...why would you try to distroy someone that you once called a "friend" because you didn't like the wording of a comment? Why e-mail members of her family, and her friends and make nasty comments!? Time is better spent fighting to preserve Cherokee sovereignity, not destroying a fellow Cherokee. Priorities need to be re-aligned! Thank you both for the comments. The behavior of the "wannabe hunter" is completely unacceptable. Feora, I am very sorry you have experienced something similar from the "wannabe hunter". Hang in there. The truth always has a way of overcoming lies. Wannabes are bad enough! But in many ways Wannabe hunters are worse! I read some of the line of argument on Facebook and the only thing this person really accomplished is to make a complete fool of herself and she sacrificed her credibility as well. Nobody is going to beleive anything shes says now. Honesty is always the very best policy! I agree, md. Honesty is the best policy. I dont care for fakes and phonies either and have stood next to community members to fight them. but one of these wannabe hunters called the center in my city and told them I was a fake and ever since I have been getting attacked because of her and by her and her new companions.I Also agree "Honesty is the best policy". I have been told even by a nun i am too honesty . I figured tell the truth and people would respect me for it and help me find my family. I have been honest in my search to everyone to find my birthfather from day one . i am a adoptee looking now for over 25 years I have no family after my adopted family past for some reason i don't understand the rest of the family just stopped talking to me. I was gifted a native flute by a card carrying elder and told i could play to my surprise i can and have. i am very protective about when i play it and what i have been ask to play it for . i have made mistakes but nothing I should be taking all these hits for by these 3 wannabe hunters . I go through enough pain not having a family .this is only part of my story. I took a hit from one wannabe hunter 5 years ago . i was asked by and elder from Lac Courte Oreilles to go on the recent water walk this wannabe hunter popped back up with her two new companions and started to attacked me viciously. i have no hidden agenda except to found my birth father and know my nation and continue to play native flute. that i am told by many elder to keep playing . I am insecure enough already with out these wannabe hunters coming in behind me and telling people stay away from me i hurt enough from the years of searching for roots, culture tradition FAMILY. and yet i am told i am a wannabe a fake a fraud. i not only have no family i am having everything else taken from me because of them slandering me around indian country. I am naive in thinking well if they only knew me they would know that i am not a wannabe if they only talked to these elders who encourage me telling me not to stop playing flute or doing what i am doing.if only ? they told me that the 5 days i walked from 7:00 IN the morning to 6 or 7 at night for the water walk recently meant nothing because i am a wannabe how mean and cruel to say that . I walked with a cane for those 5 days and to be told and then slandered for doing that . do i deserve that i ask. so where do i go now . funny thing is i would take a dysfunctional family over no family people you don't know how lucky you are at least your families would stand behind you . i have no one and am a easy target for these sick twisted people and this sick games they are playing . how sad are they that they have decided that this is what the creator wants them to do . i will pray form them this is what i have learned in the last 25 years of my search even though it hurts me deeply to my core . i think i am doing what they creator wants me too.